Find My Workspace lists over 95% of the serviced offices market in Perth. Simply click Request Quote to check pricing for one office, or Add to Basket for multiple offices. 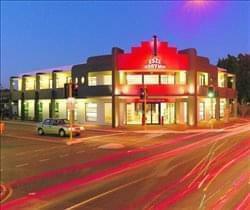 Impress your clients with an office at the heart of Vic Park’s commercial hub. Situated next to the historic The Broken Hill Hotel, along a cafe strip and minutes to the city, this Business Hub is the ideal place to take your growing business further. Each business is nestled in a tastefully designed private workstation, and not off the shelf office partitions. Everything you need to function productively is on your desktop. The meeting room is minimalist in design to avoid the ‘heavy’, cluttered look, a space in the office for small chats is lined up with books, plants lined up the walls and the building has ample open spaces for informal meetings. Your business’ name is on the main door too, giving it the prestige it deserves. The design is pleasing to the eye and mind to ensure you are at your best at work. This conveniently located centre offers a variety of flexible office solutions, from a single desk in a coworking environment all the way to a private office for up to 8 people. Large floor-to-ceiling windows provide pleasing views of the local area while you work, and the centre’s décor and furnishings ensure you remain motivated all day. Become a member in this space and gain access to cosy common spaces, equipped communal kitchens, copy and print facilities, free WiFi and shared ethernet internet connections. You’ll be able to book into the fantastic meeting rooms, with space for up to 15 people, and audio-visual equipment is available. Early-morning meetings or late nights? You can take advantage of the 24-hour access and secure location to ensure you’re never stuck with nowhere to work. This modern building features large, open-plan offices with great access to other services such as a kitchen area, high speed internet and toilet facilities. 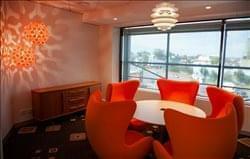 Additionally, the building also provides useful meeting room facilities alongside break-out rooms which make this building extremely well equipped to facilitate business meetings and for employees to relax. Furthermore, this building benefits from large, air-conditioned rooms which provide natural light all day, making this office-space comfortable and productive for employees. In this workspace employees can also take advantage of a large open reception service which allows for professional greeting of clients and consumers. The centre is environmentally friendly and includes parking services. Moreover, the office is fully furnished allowing for an easy transition when moving into this dynamic space. The building is very accessible with lift services and great access to other centres, both nationally and worldwide which is ideal for people who are required to travel a lot. This stylish contemporary building was recently refurbished and has an entrance that definitely makes a statement as a first impression for your guests. Spacious, fully-furnished offices offer your team somewhere to work comfortably, where you can move in and get started straight away – no need for time wasted setting up various desks. Fully secured, this building has undercover parking for both centre clients and visitors, with disabled access. End-of-trip facilities are also available for you as a tenant, with secure cycle storage, showers and changing areas to ensure that your fitness regime won’t be effected by business hours. The on-site cafe is also available for a quick morning coffee or a lunchtime snack. This two-storey building offers a modern reception and beautifully furnished offices providing high-class accommodation. Air-conditioned office suites in the heart of Fremantle. Ground floor office suites, designed for two persons, complete with furniture. Ready to move in immediately. Free facilities, including meeting room, gym and swimming pool along with a wide range of tea and coffee available. Rental from $250.00 per week to $300.00 per week exclusive of GST, nothing more to pay. Flexible lease term 3 months to 36 months. Optional Parking available, $10.00 per day. Internet ADSL 2 $30.00 per month for unlimited usage. Photocopy and printing machine available for use. 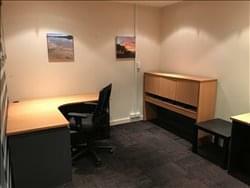 This centre aims to provide clients with the benefits of a professional office setup and the convenient location 10 minutes from Perth CBD. These offices allow clients to avoid the financial costs associated with leasing their own private work spaces and provide a range of services and facilities normally only available to larger corporations. Packages are individually tailored to suit client requirements and include temporary, short term and long term solutions. All outgoings like electricity, rates, water and high speed internet are included and there is ample free parking on site for clients and guests. In addition to offering a variety of serviced office options, this centre also offers a range of virtual office packages including but not limited to a business address, with mail collection and forwarding, (both street address and PO Box), virtual receptionist with local phone number answered in your business name, virtual personal or virtual assistant to assist with administration, appointment setting or taking payments, casual office, boardroom and meeting room hire available at hourly or day rates with catering available, marketing, branding and social media support, and bookkeeping services. This space has a variety of options for your office needs, ranging from private offices, hot desk and dedicated desk solutions plus multiple conference rooms of different sizes. Private offices are equipped with quality furniture and décor; some even with projectors. All offices are equipped with wifi and wired internet as well as other facilities like printing, scanning and copying, reception service for visitors and mail and parcel handling and access to a café. There is also a secure car park for 40 cars. These offices also have a roof terrace with the capacity to host 200 attendees, making it ideal for corporate functions and events. There is also a function room inside which can hold up to 75 people. This centre, based in a A-Grade building offers an impressive selection of on-site amenities, including; an outdoor cafe, fully equipped gym, including an outdoor pool, barbeque facilities, full size tennis court and much more. Inside the centre itself is an abundance of high quality office space filled with natural light – ideal for building your business. It is supported by an exceptional array of facilities; meeting rooms, on-site administration support, furnished space, plus flexible terms with fantastic all-inclusive pricing. A six-year-old two-storey Art Deco style building. The building has plenty of windows allowing lots of light into all areas, including the central welcoming area, plus two meeting rooms. The building has generous common areas, which includes a kitchen, lunch room, shower facilities, an air conditioned server room, utilities area, a boardroom which opens out onto the balcony area. The property offers secure under cover parking as well as customer parking. All offices come fully functional with a choice of furniture, phones and IT connections. This premium CBD address is the perfect place to work, meet clients and collaborate with like-minded professionals. This is a national boutique consultancy environment with flexible packages – regular or hourly from $20. 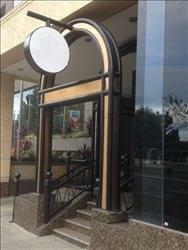 The building has 24/7 swipe card access with street and lobby access. A corporate-grade infrastructure, Wi-Fi, printers etc complements the brand new custom fit-out designed for coworking. It has end of trip facilities including bike storage and showers with meeting & conferencing facilities also available. 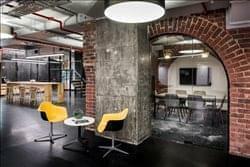 From permanent office spaces to coworking desks, members at this hip work space have access to a wide range of resources, including our innovation hub and a hardware maker space, complete with 3d printers and a virtual reality lab. The network of over 800 entrepreurs, startups, corporates, not-for-profits and small businesses, combined with our large number of events and workshops, drive collaboration and inspiration to make an excellent work environment. Extra resources include a bike storage area, multiple silent booths and meeting rooms. Your business deserves superior performance and cutting-edge technology. This space pushes the boundaries of what shared workspaces mean to businesses. Enjoy collaborative and open plan Coworking space, offices, meeting rooms and breakout spaces, complimented by stunning views and located in one of the city’s most prestigious buildings. Network with like-minded professionals and join a community of 40,000+ global clients. Leverage the power of a global interconnected data network, so you can operate your business with uninterrupted efficiencies, all while receiving the support of a dedicated team. Your business deserves superior performance, exceptional luxury and cutting-edge technology. This centre, based in the West of Perth’s CBD, offers you and your business a selection of fantastic amenities, including basement storage, kitchen areas and full secretarial support, in some of the city’s best office space. Whether you need a spacious private office where you can work with your team, or just a virtual desk where you can work on the move, with the knowledge that your phone calls and mail are being handled while you’re gone, you’ll always have the choice in this centre. Large windows offer a pleasant view of the Swan River, and local landmarks including; Barracks Arch, Parliament House and St George’s Terrace. 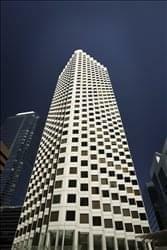 This tower is one of Perth’s premier Grade A office buildings. It is located in the business and retail precinct of St Georges Terrace, making it by far the most sought-after address in Perth. The centre remains popular with legal firms, mining and finance companies whilst supporting a wide variety of other tenants across its 35,000 m². 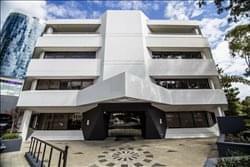 These versatile offices occupy two floors of this building which has long been a dominant feature of the Perth central business district’s skyline. The 31-storey tower’s exterior architecture is as striking today as when it was built and its position provides breath-taking views of the Swan River, Kings Park and Perth’s City Skyline. The centre occupies a prominent position on the southern side of St Georges Terrace; long recognised as the commercial heart of the Perth central business district, and its most desirable business address. 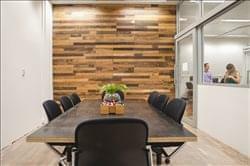 Providing private, coworking and virtual office solutions alongside meeting rooms that are perfect for conducting interviews, training, presentations and AGMs. This centre is situated on St Georges Terrace in a landmark building of Perth CBD, located on the south west corner of St Georges Terrace and Mill street. A new 1200sqm state-of-the-art training and conference centre on the ground floor complements the private service offices well. The 28 storey building is instantly recognisable as one of Perth’s best located buildings, situated at the very heart of Perth commerce. 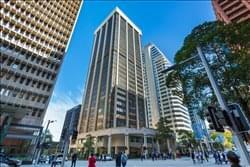 An imposing office building, the property offers outstanding views over the Swan River and the city surrounds. The 5.5 star NABERS rated tower comprises 28 upper levels of office accommodation, providing more than 26,500m2 of office and retail space, with basement car parking for 93 cars, new end of trip facilities, both plaza and ground level retail accommodation and a large foyer. A newly refurbished facility equipped with a dedicated, concierge receptionist located in a chic unbranded reception area. A number of private offices are on offer, with space for one man businesses up to small businesses of seven; stylish meeting cubicles, a generous breakout space and two purpose built meeting rooms, your business will fit in comfortably. 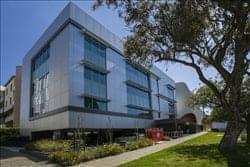 Personalised call handling, corporate grade internet connection, state-of-the-art end-of-trip facilities and a prestigious address are all on offer here and you and your business will have access to conference facilities, full colour printing, dedicated support staff, and networking events. This centre caters to a wide variety of people, whether you’re running a small business and looking for office space to expand to, if you’re a freelancer who’s growing from home and looking for coworking space to network, or if you’re part of a global team setting up a satellite office, you can find a space to suit you in this business centre. The space has a wide range of office options for you to choose from, plus you can benefit from the range of meeting rooms, from two-person catch-ups to functions for over 100 guests in the immaculate “town hall” space. This collaborative environment supports you and your business while you continue to grow and build your professional network, and this centre’s handy member directory contains over 800 like-minded coworkers, entrepreneurs, startups, freelancers and corporate innovators for you to connect with. This modern office tower offers spectacular views of the Swan River and South Perth foreshore from it’s private offices and meeting rooms. A tower shared with commercial tenants as well as retail ones, with a shared cafe and restaurant on site. A number of meeting rooms are available as well as boardrooms which can hold up to 100 people with videoconferencing facilities available on hand. The building also contains a fully equipped gymnasium, with swimming pool, tennis court, and bike racks so you can workout before or after work without travelling far, and basement parking is also available on-site for in-house tenants. This centre delivers flexible workspace configurations, hi-speed secure Internet and network connectivity and the professional services that are demanded in today’s workplace. Building tenants include Rio Tinto, UBS, Norton Rose Legal, Sino Steel, Bankwest and Boston Scientific. This centre delivers a professional and secure environment. Take all of this and combine it with the client-orientated service, the philosophy of exceeding expectations, flexible leases and affordable prices, the decision to base your Perth business at this centre is a logical choice. This centre strives to deliver excellence in all services, which are provided to you. Offering flexible membership terms, no lock in contracts and continuous onsite support. Secure your own private office, or if you want something with a casual atmosphere then sign up to the dedicated co-working desk. Clients of the space can enjoy 24-hour access to the building, IT Support and dedicated internet service. Reception services are available, which include telephone answering and postal/ mail handling and meeting/greeting guests. There is a cafe/ restaurant on site, as well as a kitchen. A bike rack and end-of-trip facilities are available for those who cycle to work or enjoy using the gym before starting work. More choice, and more flexibility – you can save thousands of dollars on capital expenditure by choosing an instantly operational professional office space for between one and 10 people on a daily, monthly or annual basis. Whatever your business needs, this centre has the ideal office solutions for you. This office’s conference facilities will give your next presentation the professional edge with cutting edge facilities, plus proximity and easy access to Perth’s central business district. Give your business the upper hand with this fantastic low-cost, low-risk serviced office in a premium West Perth Location. Are you looking for a corporate presence without the hassle of having to commute in and out of the city each day? Are you arriving into Perth for business and looking for a beautifully furnished corporate business centre only 10 minutes from the airport? Airport pickup in a luxury vehicle can also be arranged if needed. Free on-site parking, high speed fibre internet access and free filtered water, coffee and tea. Secure bike storage and shower facilities are also available. This centre has a full range of business facilities available to suit all budgets and needs ranging from individual executive offices right through to well thought out and individually partitioned workstations. You can utilise the services by the hour, by the day, by the week or by the month! This centre is totally flexible and will help you tailor a package based on your individual requirements. Casual office hire is available. Computer hire, reception facilities and admin support is also available if required. This centre offers a complete range of services including serviced offices and workstations, virtual office facilities and boardroom & meeting room hire. They offer bookkeeping services, secretarial and administrative assistance, printing & photocopying services (including binding and laminating services). The centre have a range of fully furnished offices and workstations available right now for hire. To obtain information for your selected Perth Serviced Offices, please tick the "Add to basket" box for each office you prefer and complete the form below. We will then send a detailed report via email.